Patricia June Tarran passed away on Thursday, November 22, 2018 peacefully at St. Teresa's in Manchester, New Hampshire. Patricia was born to Mae G. Norton and Bernard G. Myles on March 10, 1932 and raised in Mt. Rainier, Maryland. She was one of 5 children and is survived by her youngest brother Donald Myles who resides in Ocala, Florida. Patricia married the love of her life Dennis Drexel Tarran on July 22, 1950. Patricia was the mother of 4 amazing children including Dennis Drexel Tarran Jr, Bonnie Duarte, Tami King and Christopher Tarran. She also leaves behind a legacy of 9 grandchildren, 12 great grandchildren and 2 great great grandchildren who she adored very dearly. Patricia was a great mother to her children and wife to her late husband Dennis D. Tarran. Patricia was known for her wonderful sense of humor and having a "Cheshire Cat" grin on her face and a little twinkle in her eye. She enjoyed seeing her family in the summer coming from states near and far. All her children and grandchildren were in attendance to see "MeMaw" the Matriarch. All of Patricia's friends at St. Teresa loved her for the short time that she lived there. Everyone loved Pat who became known as the "Southern Lady". She enjoyed Bingo and the music there. The love for her family never faltered, being with her family gave her extreme joy especially at Christmas and Thanksgiving gatherings. She always loved spending the holiday season Christmas shopping with her "girls" and always the scheduled lunch date. 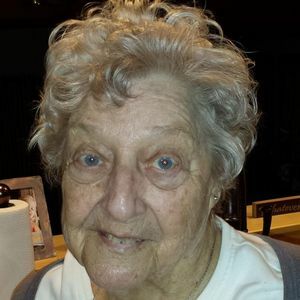 Patricia was a care giver on numerous occasions including her family and friends. Her love of babies shined when she would take care of her beloved neighbors children and her grandchildren. Patricia would always have a great feeling of joy taking care of others. Patricia always loved taking time and viewing the wildlife outside, she always had enjoyed gardening and cooking. She was also a dedicated sports fan especially for her home team the Redskins. Patricia always enjoyed making crafts and crabbing with her friend Shirley. Her favorite game shows were Jeopardy, Family Feud, and The Price is Right. Patricia always received great pleasure to give to the St. Joseph Indian school in South Dakota. The children had a special place in her heart. She stated her father was 1/2 American Indian so she always felt connected in a special way. There will be a visitation held on Friday, November 30th, 2018 at Phaneuf Funeral Homes and Crematorium at 6:00 PM which will conclude at 7:00 PM. The visitation will be followed by a memorial service starting at 7:00 PM which will conclude at 8:00 PM. In lieu of flowers please contribute to The St. Joseph Indian School in South Dakota.